Carlton Cards musical ornament with light. Lights up in 3 different ways and plays medley of "All I Ask of You" and "Music of the Night." Includes 3 AAA batteries which are still sealed in the box. New, mint in mint box, never used. 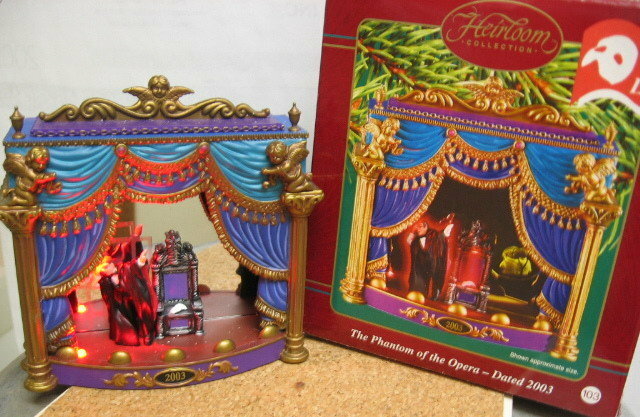 Items Similar To "2003 Carlton PHANTOM of the OPERA Ornament #5 & Final~Music & Lig..."